A year after the public disagreement between Apple and the FBI, which centered on the passcode-locked iPhone 5c of the San Bernardino terrorist, one of the major questions remains how much the United States government and the FBI paid for the tool it used to crack open the iPhone. That question became so focused upon that a trio of news organizations filed a lawsuit to find out the exact amount that the tool cost the FBI. Speculation in the midst of the Apple-FBI drama placed the price of the tool at upwards of $1.3 million, and then somewhere below $1 million. A recent statement by senator Dianne Feinstein appears to confirm the latter estimation, with Feinstein revealing that the U.S. government paid $900,000 to break into the locked iPhone 5c. 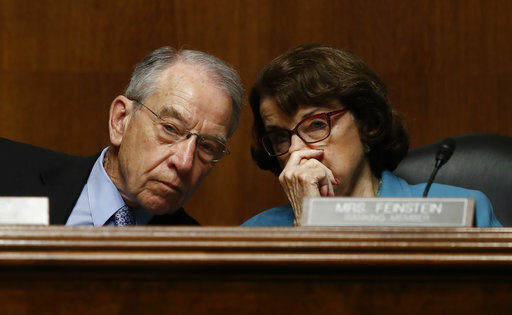 The classified information came up during a Senate Judiciary Committee oversight hearing, where Feinstein was questioning FBI director James Comey (via The Associated Press). "I was so struck when San Bernardino happened and you made overtures to allow that device to be opened, and then the FBI had to spend $900,000 to hack it open," said Feinstein, D-Calif. "And as I subsequently learned of some of the reason for it, there were good reasons to get into that device." In the ongoing lawsuit filed by the Associated Press, Vice Media, and Gannett, the organizations cite the Freedom of Information Act: "Release of this information goes to the very heart of the Freedom of Information Act's purpose, allowing the public to assess government activity - here, the decision to pay public funds to an outside entity in possession of a tool that can compromise the digital security of millions of Americans." The FBI has repeatedly argued that the number should stay classified. Despite the ongoing legal battles that the Apple-FBI event sparked, last year the FBI reported that it found "nothing of real significance" after it had gained access to the iPhone 5c, providing answers to some questions about the terrorist attack but generating no solid leads. In regards to the third party who was paid the $900,000 for the hacking tool, it's been widely reported that Israeli firm Cellebrite was the FBI's source, but a more informal group of professional hackers has also been suggested. Feinstein needs to retire or pass on already. Better than $95M for some fireworks in Syria. Cellebrite is an Israeli firm that specializes in breaking into devices for law enforcement. Now personally I don't like them because they are funded by the Israeli intelligence agency (and you can bet they get a sweet chunk of the black budget from the NSA on consulting), but they aren't "hackers" that the government would be prosecuting because they work for governments. It was originally reported that Cellebrite helped the FBI, but then it was reported that wasn't the case. They never disclosed who helped them, I'm suspicious. It sounds like Feinstein just leaked classified information to the public. Perhaps there should be an inquiry into this as well. "And as I subsequently learned of some of the reason for it, there were good reasons to get into that device." The shooter had 2 other cell phones that he went out of his way to destroy...so common sense would dictate maybe those were the ones that might have had info on them? The FBI ******** was, and still is, a kludge that our politicians are trying to use to mandate broken security on cell phones in the country. The UK released their white paper calling for the same thing this week. If it was the military, it would be a $90,000,000 tool. First, she completely ignores her constituents and uses right-wing talking points to deny single-payer healthcare. Now, (what a surprise) she's the one who let classified information slip (oops!) and reveal the idiots at Quantico spent $900,000 to hack an iPhone. She just can't get out of her own damn way, can she? Lady, you're way past time to get out of politics. What do the FBI thought it could find? Al Qaida PowerPoint spreadsheet? Just do a clean wipe and donate the phone! Bang! Saved a million bucks! It's sad that the government is rewarding hackers instead of prosecuting them.